A private anxiety-free OC dental office dedicated to excellence in serving Corona Del Mar, Newport Beach, CA and surrounding areas. 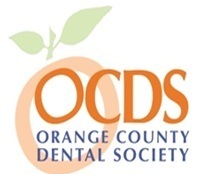 As a respected Orange County dentist in Corona Del Mar and a member of the Newport Beach community, Doctor Saliba achieves unsurpassed natural results by relying on his extensive experience of over 15 years and all modern dentistry has to offer. Fillings, Crowns, Veneers and bridges created by Doctor Saliba, look and feel better than what nature intended. He ensures successful, natural and lasting results by only selecting and recommending the most durable and highest quality products available. His unwavering commitment to excellence in his anxiety-free, cozy, and private dental office located in the heart of Corona Del Mar, CA has gained him the respect, trust and loyalty of his patients throughout Newport Beach and Corona Del Mar including his Orange County dental associates. We urge you to read more about Selective Dentistry including the patient testimonials, which will give you a better understanding of our unique dental office and add to your comfort. Doctor Saliba believes that your comfort and positive experience are his greatest compliments. View Our smile gallery for regularly updated new and exciting cases performed by Doctor Saliba in his private Corona Del Mar dental office. ENTER OUR EXCLUSIVE PRIZE DRAWING! Whether your dental needs are a routine exam and cleaning, full-mouth restoration, or anything in between, and you are seeking a quality private dentist in the Corona Del Mar or Newport Beach area, you will be provided with exceptional personalized care. We hope you'll find our website useful and interesting. We are always available to answer any questions you may have. Our online appointment request is also available for your convenience. Corona Del Mar CA dentist, Doctor George Saliba provides a full spectrum of dental services in his private Corona Del Mar dental office, Selective Dentistry. Residents from Corona Del Mar, Newport Coast, Newport Beach and throughout California seek his expertise, family and cosmetic dental services due to his ethical commitment and respect for the profession and patients he serves.